The taste and quality of Korn (grain schnapps) are not only influenced by the distilling process itself, but also by the types of grains and the subsequent storage. Cereal varieties such as rye, wheat, barley, oats and buckwheat are permissible for the production of grain schnapps. But the use of wheat or rye is particularly popular, in which case wheat ensures a mild taste and rye ensures a strong taste. 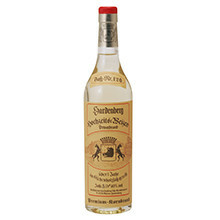 Grain schnapps from our company have a 300-year distilling tradition whose processes and recipes are a rigorously guarded secret. 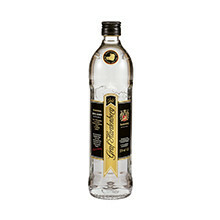 Passed on from generation to generation, our grain schnapps stand for special drinking pleasure. Grain schnapps products retain their taste due to selected wheat, which also stems from our own cultivation, and not least due to storage in oak and ash wood barrels. 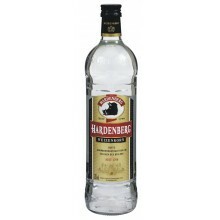 Enjoy our Hardenberg grain schnapps sip by sip pure, and allow them to roll across the palate so that the outstandingly fine and subtle grain aromas can develop ideally. 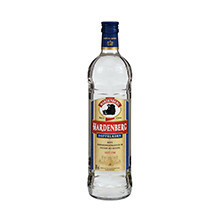 We recommend enjoying grain schnapps products at a drinking temperature just above zero. It is best to store the mild and fine grain schnapps at room temperature. Did you know that the EU Regulation on Spirit Drinks (Spirituosenverordnung) stipulates that a Korn (grain schnapps) must have an alcohol content of at least 32 percent by volume. A Korn bears the designation Doppelkorn (double grain schnapps) when its alcohol content is at least 38 percent by volume.